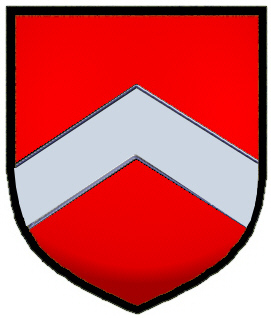 Coat of Arms: A red shield with a silver chevron. Spelling variations include: Fulford, Fullford, Fulforde, Fullforde and others. First found in Devonshire where they were seated from very ancient times, some say well before the Norman Conquest and the arrival of Duke William at Hastings in 1066 A.D. Some of the first settlers of this name or some of its variants were: Joe Fulford who settled in St. Christopher in 1635; John Fulford, who settled in New England in 1751; and William Fulforth, who settled in Philadelphia in 1844. The Fulford family has started a Family DNA project. It can identify common ancestors for those tested within a very small degree of error. FULFORD. 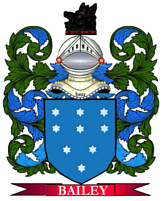 A mailing list for the discussion and sharing of information regarding the Fulford surname in any place and at any time, including all surname variations. Additional information on this family can be found on the FULFORD SAGA Web Page. To subscribe send "subscribe" to fulford-l-request@rootsweb.com (mail mode) or fulford-d-request@rootsweb.com (digest mode). The company doing the project for National Geographic is FamilyTreeDNA who has agreed to start a Fulford family project. The best DNA testing for tracing family history is on males, the Y chromosome-DNA test. This test allows you to identify your ancestral origins on your direct paternal line. The Y chromosome is passed from Father to Son without any change so it remains the same from generation to generation. To participate you must be a direct male descendent of the FULFORD family line. That means you must have the name Fulford and be pretty sure you or your ancestor was not adopted. Several Fulford family lines in the US, Canada, and the UK have been invited to participate in the project. To participate you have to submit a DNA sample, using a cheek swab and pay for the test. The normal cost of the Y-DNA12: 12 Marker Test is $159 but as part of the Fulford project they will do it for $99. You can order the 25 marker or 37 marker test if you want but it is more expensive. Go to the web page and click on JOIN THIS GROUP to order the kit. Again, to participate you must be a Male with the last name Fulford. This testing doesn't identify any disease or paternity and is confidential. Please feel free to forward this on to other Fulfords who may be interested. "My surname is one of the four oldest surnames in the British Isles. It was actually in existence before the Conquest of 1066, when Anglo-Saxon England was conquered by the Norman French who, incidentally, were also an Israelite people. Actually, the Battle of Fulford [q.v.] , fought on the banks of the River Ouse in Yorkshire earlier in the year of 1066, was even more historically significant, as King Harold's men were decimated there before travelling south to take on the superior forces of Duke William of Normandy at Hastings . Fulfords fought in the Crusades in the Holy Land at the time of King Richard I , known also as "Richard the Lionhearted. However, Crusades of any kind appear to have fallen into disrepute in recent years.